Bercen Chemicals is founded in Providence, RI. Cranston Print Works Company purchases assets of Bercen Chemical to form a chemical division. The assets of March Chemical in Louisiana were purchased to expand Bercen’s production capacity. Major upgrades made in Louisiana plant leads to period of rapid growth. (14+% per year average throughout the decade). Bercen consolidates US operations, expands laboratory capabilities and opens the global headquarters in Louisiana. Bercen begins operations in Singapore servicing Asia-Pacific. Bercen launches Texalene to serve customers in the fuel and lubricant additives markets. Bercen launches EcoARMOUR, functional coating chemicals, leveraging the company’s deep knowledge and capabilities on coatings. Bercen is an innovative specialty chemical company that designs and manufactures chemical solutions. Our chemists, engineers, technicians, and sales representatives bring vast market experience to each technical project. Bercen partners with other stakeholders in assuring that each product development project sets a course for continued value. Bercen has certain core competencies and we are adept at leveraging this knowledge to responsibly grow the company. Employee-ownership drives an entrepreneurial spirit that permeates the organization. The opportunities for growth that receive highest priority tend to be those that originate with our “long-term” partnerships. We want to be more than another supplier; we want to be an innovation catalyst. While the history of our chemical manufacturing spans six decades, most of the current infrastructure and production assets have been installed in the last fifteen years. 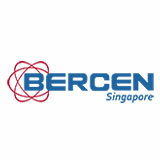 Over the last several years, our presence in Singapore, continues to pay dividends by expanding Bercen’s opportunities. Bercen is a unique company. We are small when compared to most of the world’s chemical companies but we are very effective and efficient. The employees at Bercen realize the customer is the number one focus and we go the extra mile to give our customers the products and service they have come to expect. To all of our customers, thank you for your support and loyalty. Bercen is committed to providing high quality products, effective project management and outstanding customer service. Our products are designed, developed, and produced to meet or exceed all required specifications. Bercen strives to ensure our processes deliver consistent high quality products to our customers. The Bercen Management team and all employees conduct themselves with the highest ethical and professional standards and take total responsibility for ensuring that orders are received, produced, and shipped in a timely manner. Bercen provides an environment that focuses on the health and safety of our employees. Our health and safety policy is not simply designed to meet legal requirements but to deliver a healthy, safe, secure and rewarding working environment for our employees and for the benefit of customers, neighbors and everyone affected by our work. Bercen is very sensitive to the importance of sustainability. Throughout our processes, we adhere to stringent environmental principals. We only source materials from high quality, reputable suppliers that concentrate on effective utilization of raw materials and maintain strict environmental standards. Bercen is an employee-owned company. Our employees are a well-trained and effective workforce, who is personally invested in the success of our business. All of us at Bercen take the above commitment seriously. We continue to improve all aspects of our business exploring new possibilities to provide innovative solutions for existing and new customers as well as cultivate and develop new markets. The Quality Management System (QMS) of Bercen has been certified to the ISO 9000 Standards since 1999 and is currently certified to ISO 9001:2008 by Bureau Veritas Certification. This International Standard is the model used by Bercen to achieve exceptional customer service, improve product quality and enhance customer satisfaction. Bercen’s entire ASA line and Berchem 4842, Berchem 4136, and Berset 2125. REACH is the European Community Regulation on chemicals and their safe use EC 1907/2006. It encompasses the Registration, Evaluation, Authorisation and Restriction of Chemical substances. The new law entered into force on 1 June 2007. The aim of REACH is to improve the protection of human health and the environment through the better and earlier identification of the intrinsic properties of chemical substances. At the same time, innovative capability and competitiveness of the EU chemicals industry should be enhanced. The benefits of the REACH system will come gradually, as more and more substances are phased into REACH. Find out how Bercen can help your business!